Reliance are pleased to announce the supply of a new product range, Steinmeyer miniature ball screws, as part of its catalogue product offering. As the only UK distributor of the product, Reliance unveiled the new range at last week’s Med-Tech Innovations Expo at the Ricoh Arena in Coventry. Miniature ball screws with diameters of 16mm and smaller are commonly used for precision positioning in semiconductor, optics, medical instrument and metrology applications, and so are a natural, complementary addition to the catalogue product range. 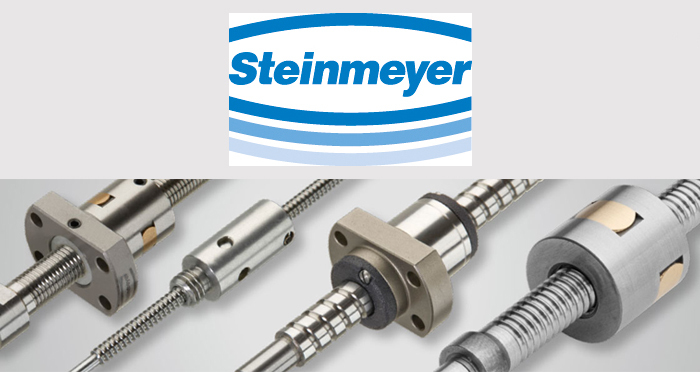 Steinmeyer are well recognised for their leading-edge technologies and advanced techniques in the manufacture of ball screws. Using high quality materials and sophisticated manufacturing procedures they combine innovation, precision, quality, reliability and durability to create a highly precise, uniquely operating ball screw. As well as being able to purchase the new, high quality product, customers will also benefit from Reliance’s engineering design experience and knowledge, ensuring they have the right product for their application, with the reassurance it will perform accurately and reliably. For further information on the range of Steinmeyer miniature ball screws available from Reliance, please call +44 (0)1484 601002 or email sales@reliance.co.uk.